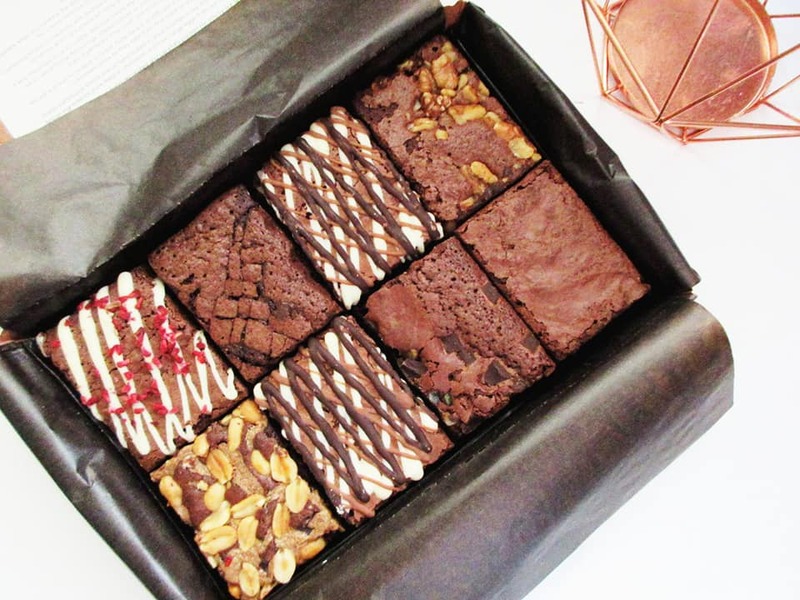 I'm so excited to be sharing with you the Gourmet Brownie Box for the 12th day of Blogmas! 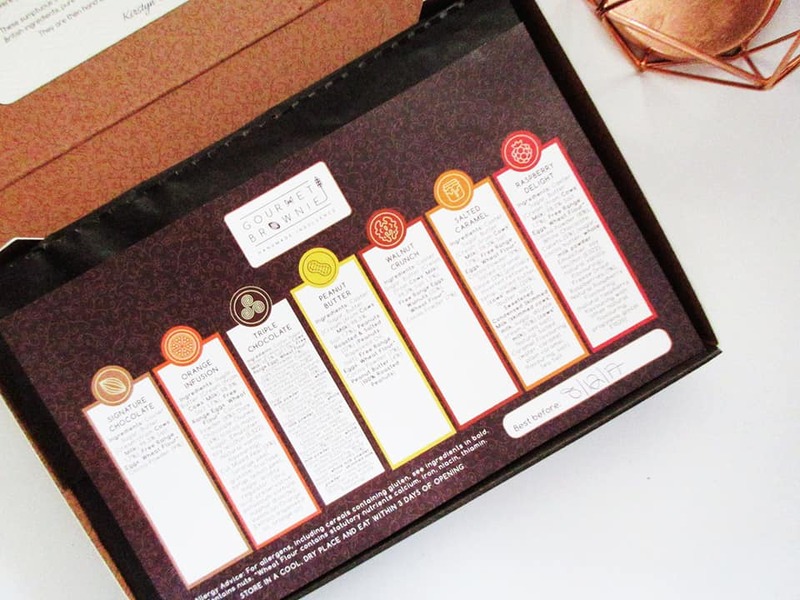 I have never tasted such a wide range of brownie flavours all at once in one incredible box. Although this is a more expensive purchase for Brownie; it tastes bloody beautiful! 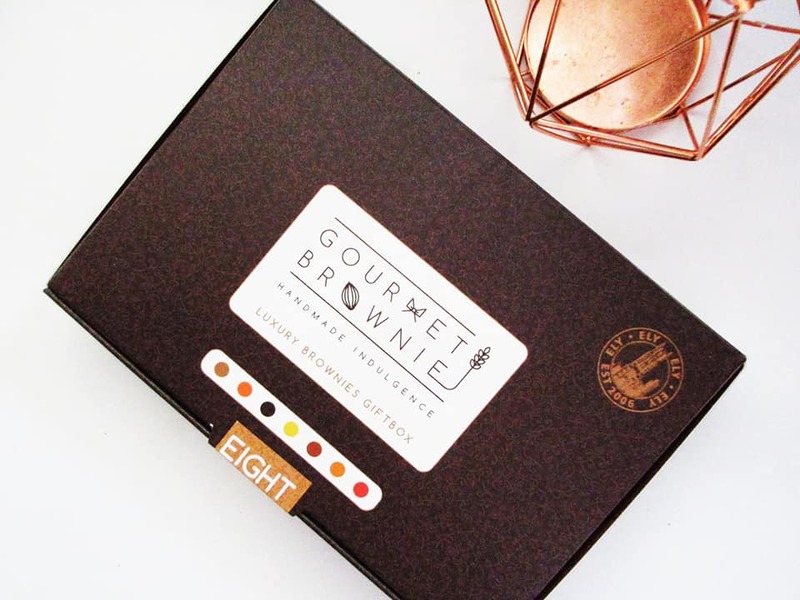 For an 8 piece box, all you have to pay is £26 and you get to choose what flavour brownies you have included; you can go three of one flavour, three of another or you can try one of each; it is completely up to you and what you prefer. I think how these brownies are packaged is absolutely stunning and delicate. 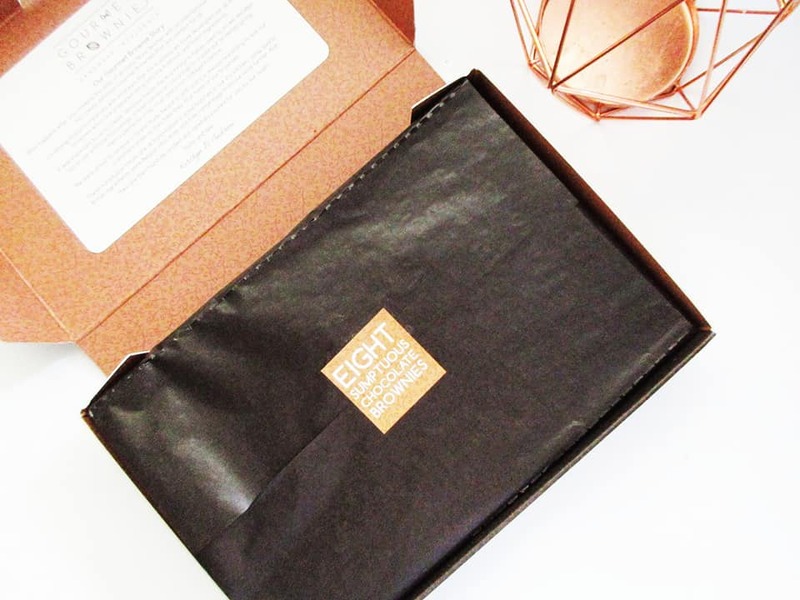 They are not only in a box which is packaged in another box; but they are wrapped in paper, with a foam piece of paper on top and then sealed with a sticker. You can really see this has been packed with care and consideration. As you can see there are 7 flavours to choose from; some are not suitable for people with nut allergies whereas others are perfect. My personal favourite was the salted caramel, then the triple chocolate and thirdly I LOVED the peanut butter brownie; it was gorgeous! If you're not a fan of flavoured brownies; there is a typical chocolate brownie in here too, with nothing else added to it. 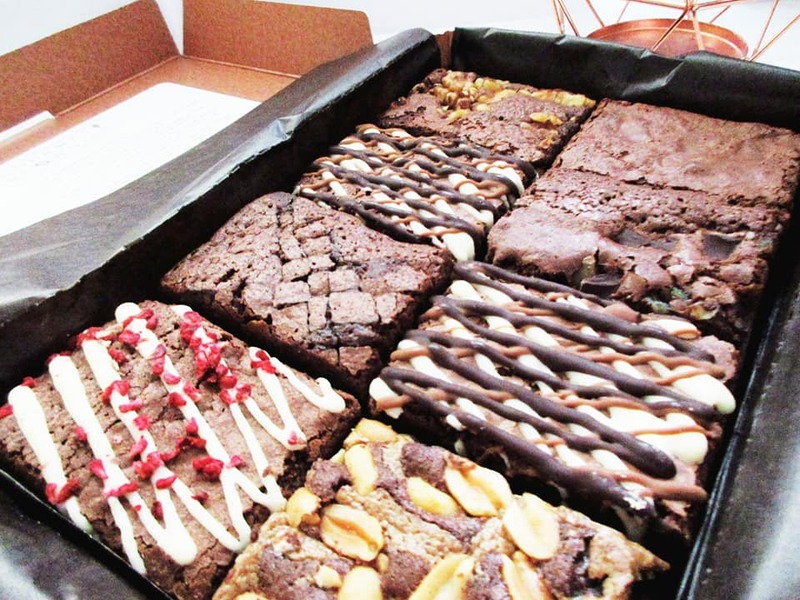 This box of gourmet brownies would be a perfect gift for someone special around this time of year. Especially if you know someone who loves chocolate (just like I do). The brownie stays fresh and moist for at least 2-3 weeks which is incredible for something which isn't filled with a heck load of preservatives. I was still eating these after a week; and I'm pretty sure my mum enjoyed them too! Let's be honest, they're pretty photogenic too. Who wouldn't want to feature these on their Instagram?